Norbert Siedler experienced a successful opening weekend of the ADAC GT Masters in Oschersleben and finished fourth in Sunday’s race. The Tyrolean had paved the way for the great result already in qualifying. In the race, he brought the fourth starting position safely home together with his Italian team-mate Marco Mapelli. On the day before, the duo had crossed the finish line in 14th position after some issues with the suspension setup. 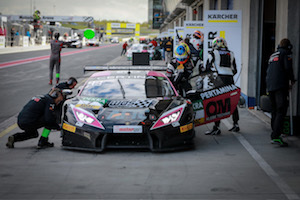 Nearly 30 GT3 race cars started into new ADAC GT Masters season in Oschersleben. In the qualifying practice for Sunday’s race, Norbert Siedler claimed a strong fourth starting position for the HB Racing Huracán GT3. 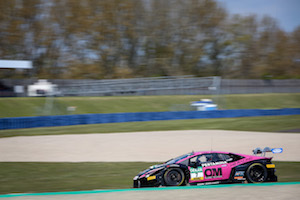 Just as during the Blancpain Endurance Cup’s season opener in Monza last week, the 34-year-old was once again the fastest Lamborghini driver in qualifying. As the lights turned green for the race, Norbert Siedler continued his performance and handed the car over to Marco Mapelli after 30 rather uneventfully minutes. For Norbert Siedler the season continues without a break. At the next two weekends the races of the Blancpain GT Series in Brands Hatch (May 6-7) and Silverstone (May 13-14) are on the Austrian’s schedule. 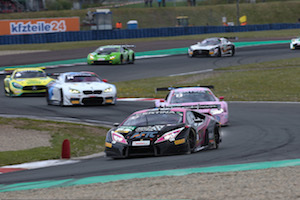 One week later the next ADAC GT Masters weekend is held at Lausitzring, before another big highlight takes place from May 25 to May 28: The 24 Hours Nürburgring.